A range of efficient and stylish rainwater diverter products with attractive tank designs/capacities which can conserve up to 800 litres of water at a time. These products are a great way of harvesting rainfall when it’s plentiful and then, when water is scarce, have access to free, collected rainwater to keep gardens thriving and cars clean. 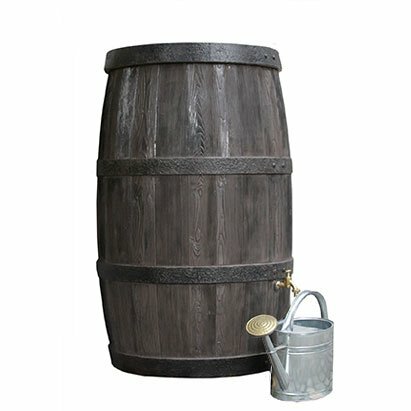 These tanks can be joined to make multiple units to beautifully incorporate water conservation into your garden. And each design comes with any tools required and installation instructions. Our designs will suit a range of properties - Urban & Rural, Contemporary & Traditional/Period properties.We've Wooden Barrel style designs, Mock Stone Walls, Large Tanks and Terracotta Urn styles. 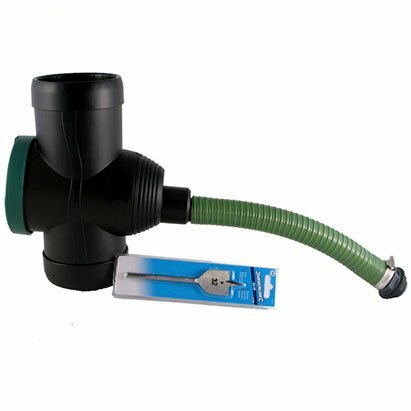 Cast Iron or Universal Fit uPVC Diverters; with filters or with taps to turn off the water diverting, additional Brass & Chrome Taps or Hole-Saw Kits for our range of Water Butts.